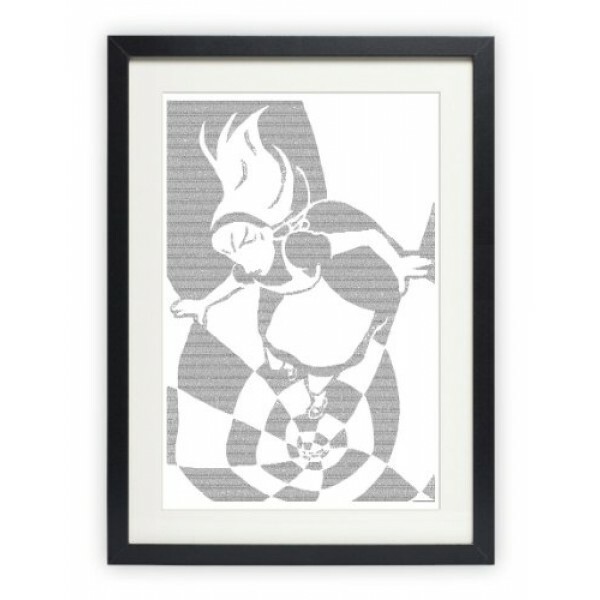 Our Alice in Wonderland art print uses Lewis Carroll's beloved words from Alice's Adventures in Wonderland to form an illustration that spans the magical gap between reality and imagination. In this work of art, Alice plummets down the rabbit hole while bizarre and arresting patterns begin to amalgamate and blend on the walls. 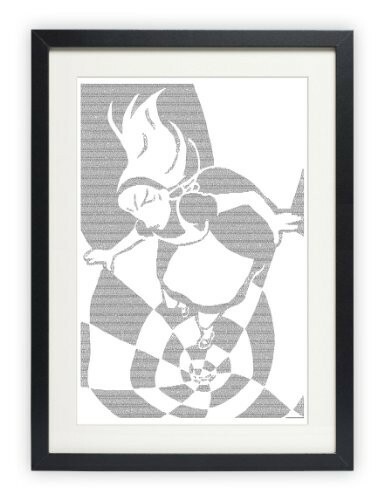 This 24 by 36 inch poster features an image created using the full text of the book, with high-quality printing that ensures the words are actually legible!